Sunday, April 17, 2011: Sad to be leaving Zion…..happy to be continuing our trek home. At 1000 this morning it is sunny and 60 degrees as we hit the road. Thought of heading more easterly up and over the Rocky Mountains into Denver. However the weather at 11,000 foot Loveland Pass was predicted to be in the twenty’s with snow and ice. So we headed due north instead. Yea…..we don’t know from day to day where we are going, nor do we necessarily care. We traveled west on UT-9 then moved over to UT-17 heading north. Arriving at Cedar City, Utah we stopped for fuel and noticed a Staples store down the street. Even though I still have a good 24 hours to mail my taxes in I hate to wait until the last minute. So after printing off copies at Staples in the mail they went. Done…..and unusually early for us! 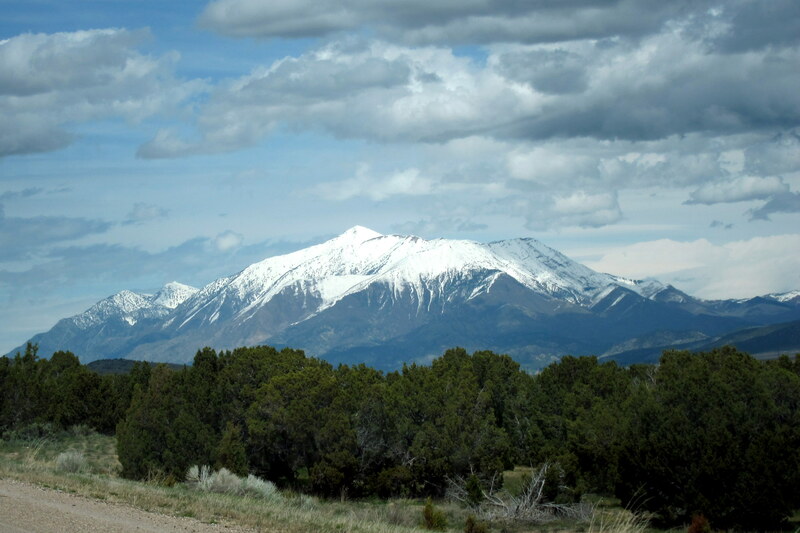 Soon we neared the flanks of the Wasatch Mountains which, at 12,000 feet are the “foothills” of the western Rocky Mountains. Seeing snow at the various summit’s as we paralleled this 160 mile mountain range reinforced our decision to travel more northerly. As the day wore on the westerly wind picked up considerably. The trailer started showing some effect from the strong broadside winds so we decided to pull off the highway and tighten up the trailer sway control. Continuing north on I-15 we passed a large billboard that had been blown down by the wind and, even with the sway control adjustment there was considerable buffeting of the trailer. We decided to slow down to 40 MPH and the wind effect was moderated. 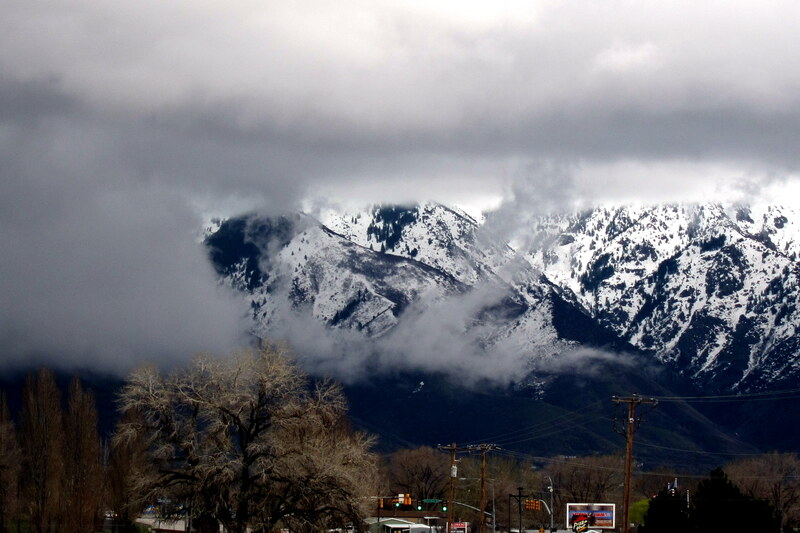 As we neared Salt Lake City we enjoyed this rather imposing sight. Locating Hill Air Force Base, we settled into a nice site in their RV Park. 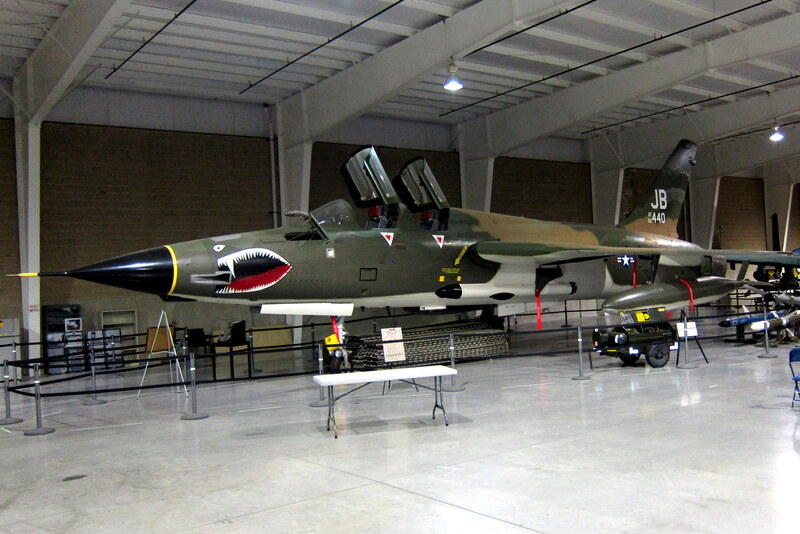 Monday, April 18 and Tuesday, April 19, 2011: Hill AFB, Salt Lake City, UT: Decided to stay a few days to resupply and see some of the sights in the Salt Lake area. 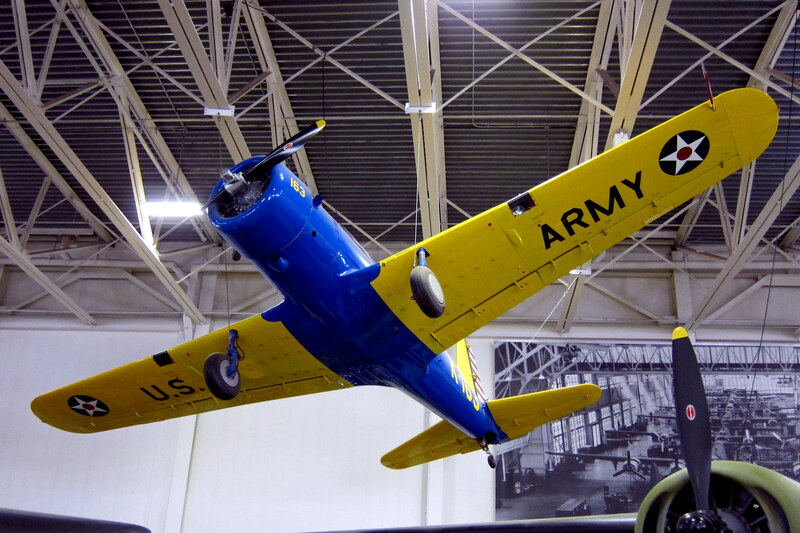 Surprisingly there is a very nice Air Force Museum right outside the north gate that I “had” to see. 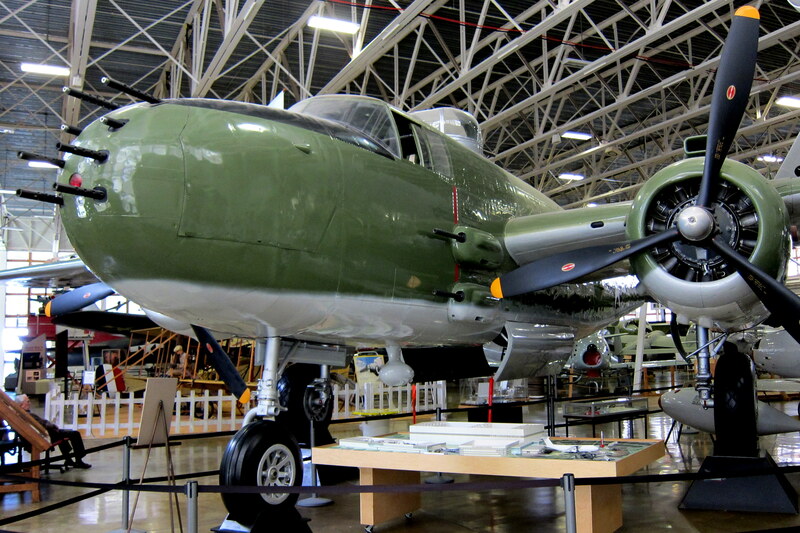 It was constructed and staffed primarily by volunteers, many of them Air Force retirees that settled in the area. The space was small but the collection was quite extensive. 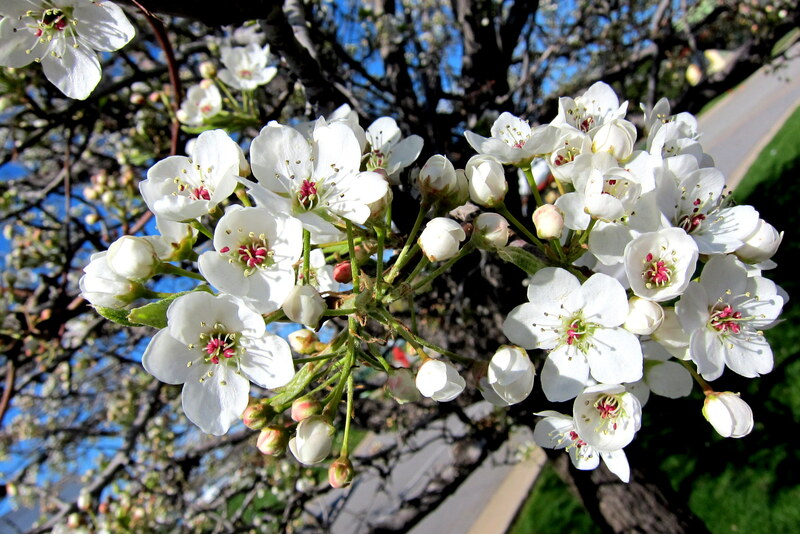 Outside the museum we came across this tree in full bloom. Ah, spring has sprung. Well…..at least at this elevation. And this regal representative from the Avian American community. 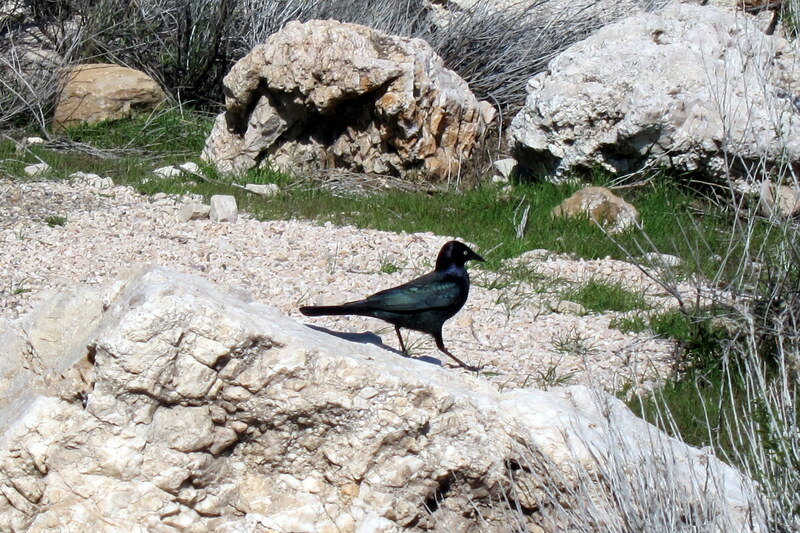 Later in the day we toured Antelope Island State Park. This unique facility is located in the middle of the Great Salt Lake; the largest closed basin lake in the western hemisphere. 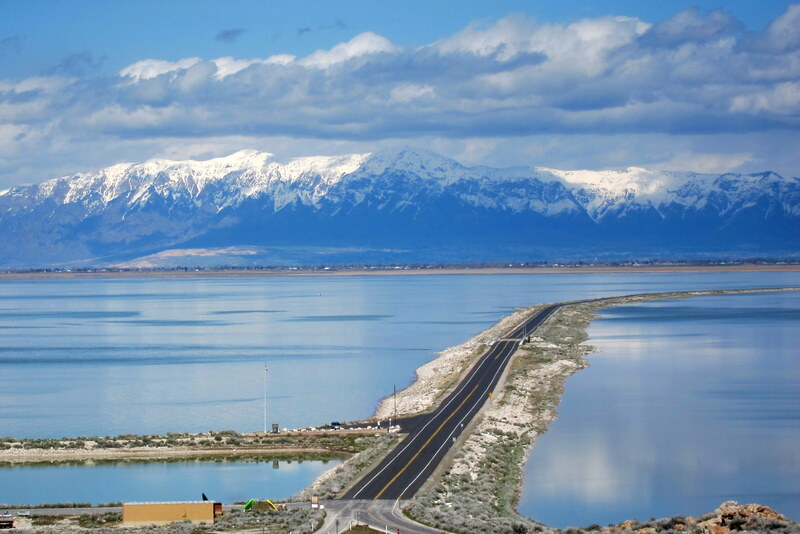 The size of the Great Salt Lake fluctuates due to rainfall and evaporation so that the water surface area of this very shallow lake can vary between 950 and 3,300 square miles. Not much here but the visitors center just happened to be staffed by two retired Navy guys. Had a nice time sharing old Navy stories and swapping lies. 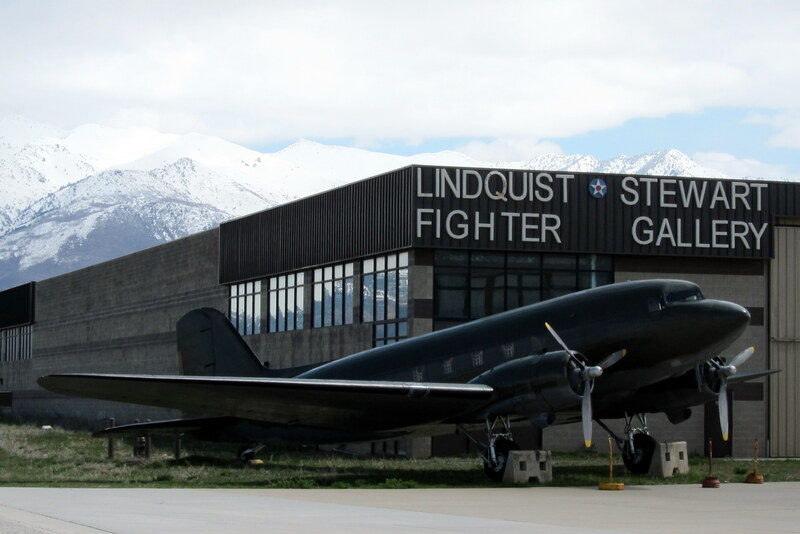 I guess the high salinity of this landlocked lake drew them to the predominantly Air Force community. 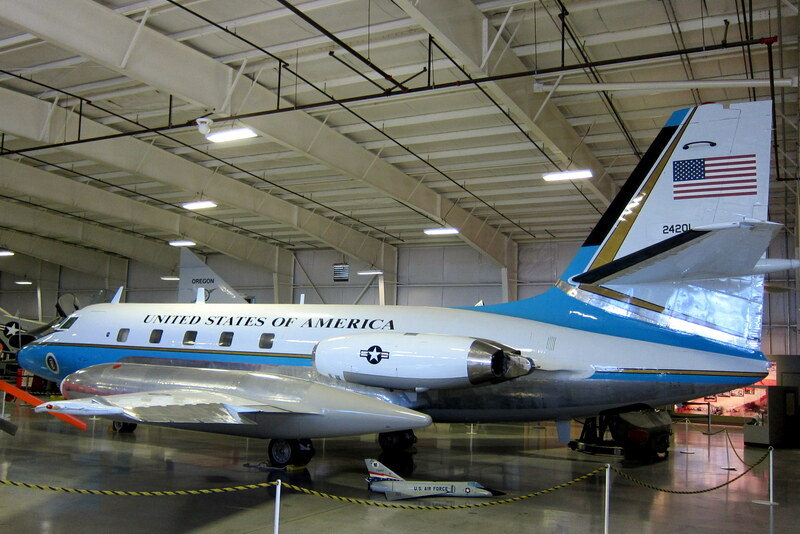 Wednesday, April 20, 2011: Pulled out of the RV Park at Hill AFB around 0900 under cloudy skies and temperatures in the low 40’s. 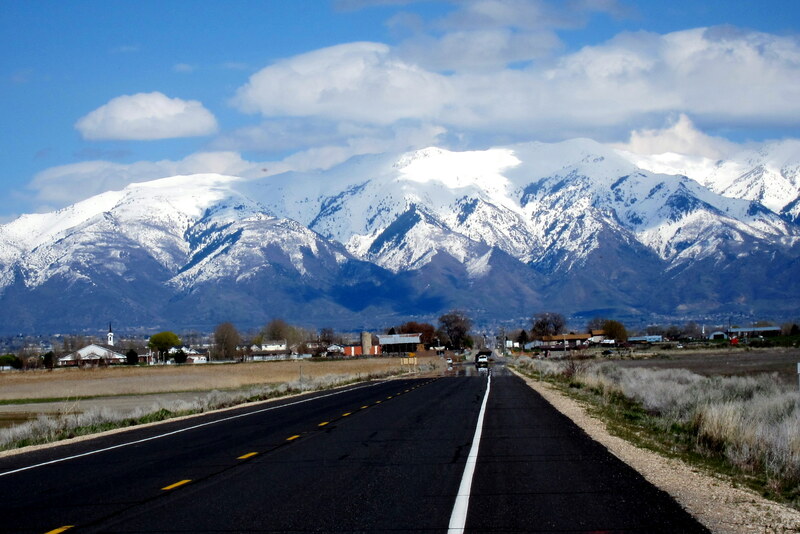 Heading east on I-84 toward the northern terminus of the Wasatch Mountain range this was our view. Might get a bit interesting up in those clouds! We soon joined I-80, the nation’s first Interstate Highway, and continued east. 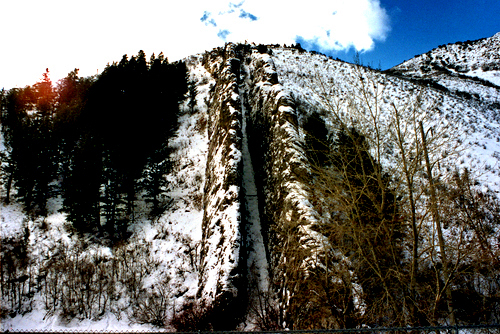 Climbing the Wasatch Mountains we passed Devils Slide, a unique geological formation that features a natural channel 40 feet deep running vertically down the mountainside. At 6,840 feet and a temperature of 38 degrees we topped out and were fortunate to encounter a break in the cloud cover. The scenes were very bucolic with small farms dotting the high plains. Crossing into Wyoming at midday we motored on toward Cheyenne. Began to notice a few Elk herds alongside the highway and encountered some “road kill” as well. One such unfortunate animal looked to be a rather large Grey Wolf. We crossed the Continental Divide at 6,930 feet and then crossed it again 30 minutes later at 7,100 feet…..not sure why? Around 1600 we encountered snow flurries and the temperature had dropped to 31 degrees. We are now at 8,689 feet and just passed the Lincoln Monument. No, not that one…..we frequently get lost, but not that bad! This monument marks the highest point on I-80 and commemorates the original Lincoln Highway that preceded the Interstate in this area. 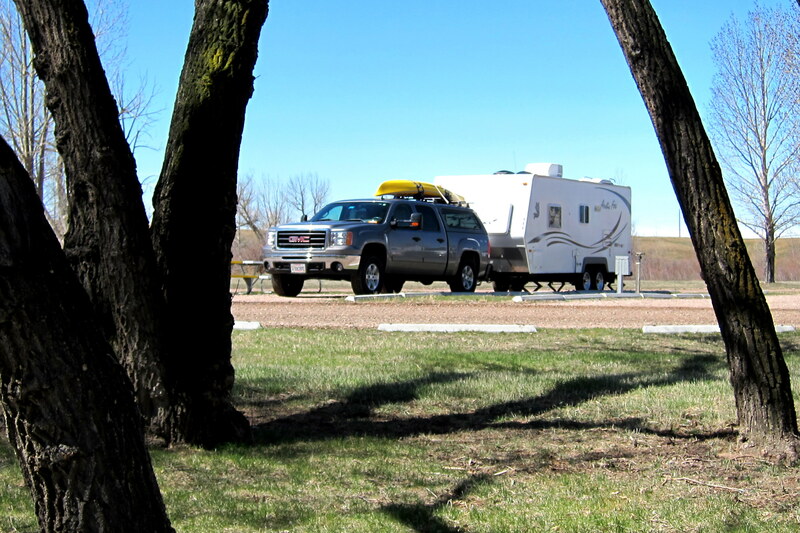 Pulling into Cheyenne we found our way to Warren Air Force Base and self-registered at the sparsely populated RV Park. Thursday, April 21, 2011: Happy 40th Birthday Suzie. OMG (Old Maine Goats)…..all of our kids are now in their 40’s! How in the heck did that happen!! Decided to take a down day to see some of the Cheyenne sights. The first stop was Sierra Trading Post, the online outdoor retailer that I have ordered from on occasion. This place is like a Marden’s for outdoor gear. The huge warehouse featured a retail outlet where we picked up some pretty good deals. 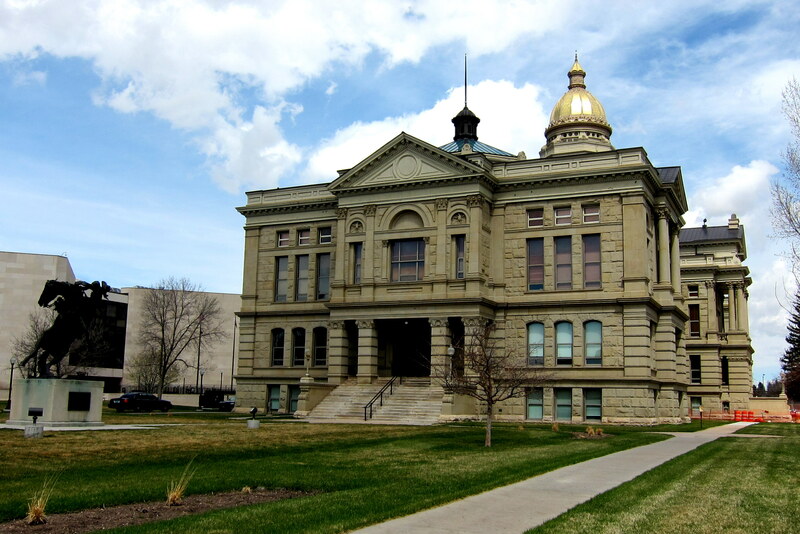 We drove downtown and walked around the state capital complex. Very stately (no pun intended) and very western. After a nice lunch at the PX Bar-B-Que shack we returned to the trailer where we chatted with our neighbor, one of only three folks staying at the RV Park this early in the season. Marti was a single lady and a Sargent Major in the Army with 32 years on active duty. She has many tours in the gulf region and is one of very few women Army Snipers. She was an interesting lady; an avid hunter she has been hired to support a big game hunt in Africa this summer for a well-heeled client. 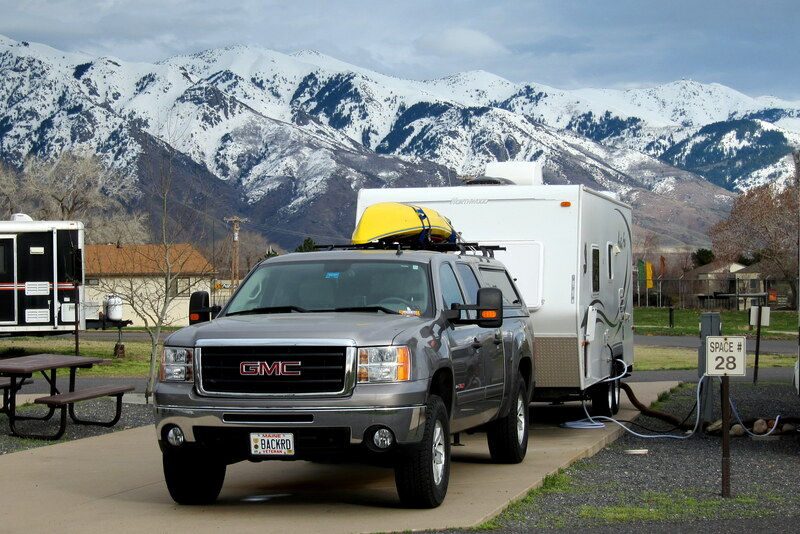 Friday, April 22, 2011: We were back on I-80E heading east at 0810…..honest! It is 42 degrees, overcast and very windy. Predicted to be 30 MPH sustained winds and gusts to 50 MPH! Fortunately the winds are from the west. Earlier on this trip we had some fierce headwinds and our MPG dropped to 6.7. So resetting the MPG calculator on the truck I was really curious to see what a 30 knot tailwind would do while traveling at 60 MPH…..19.9 MPG! And pretty much sustained that rate throughout the day! In fact our “Miles to go until Empty” readout barely moved. We were saving so much gas I was afraid the tank would overflow and create a hazard. At 0903 we crossed into Nebraska, the self-proclaimed Home of Arbor Day. Which is kind of ironic in that today is Earth Day and looking around the landscape there were very few trees? However there were miles and miles of um, well…..miles and miles. Passing Sydney, Nebraska we noticed the world headquarters for Cabela’s. Decided not to stop at the huge flagship retail store as we wanted to make some mileage today. 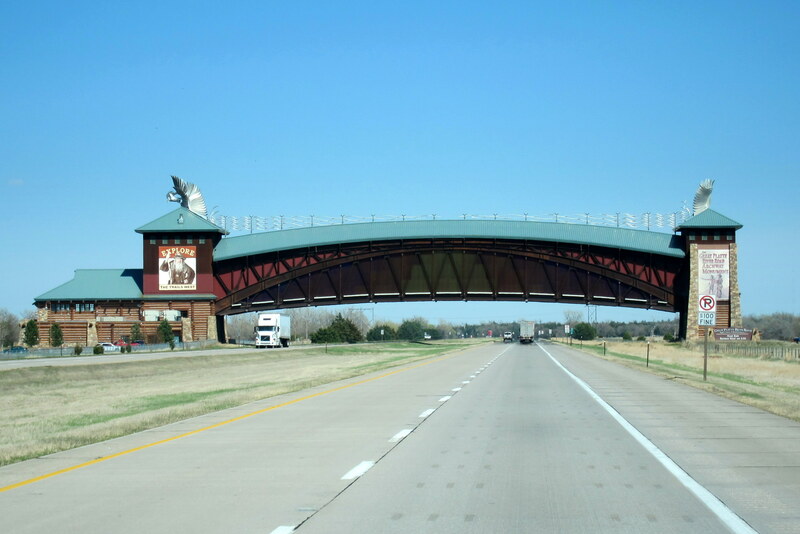 Near the town of Kearney, Nebraska we passed under the North Platte Gateway Arch which commemorates the pioneers that trekked west to settle the frontier. Makes one wonder if anyone bothered to explore and settle the backtier? It kind of looked like a New England covered bridge to nowhere. With the strong winds we kept encountering tumbleweeds blowing across the highway. Some just passed beneath the truck and trailer and some got hung up for a while. I bet we hit a hundred of them! Cheap entertainment in a rather desolate region of the US. Tired of traveling the interstate we pulled off near Hershey, Nebraska and moved onto NE-80 and continued east. A little after 1500 we passed into the Central Time Zone and lost a whole hour. 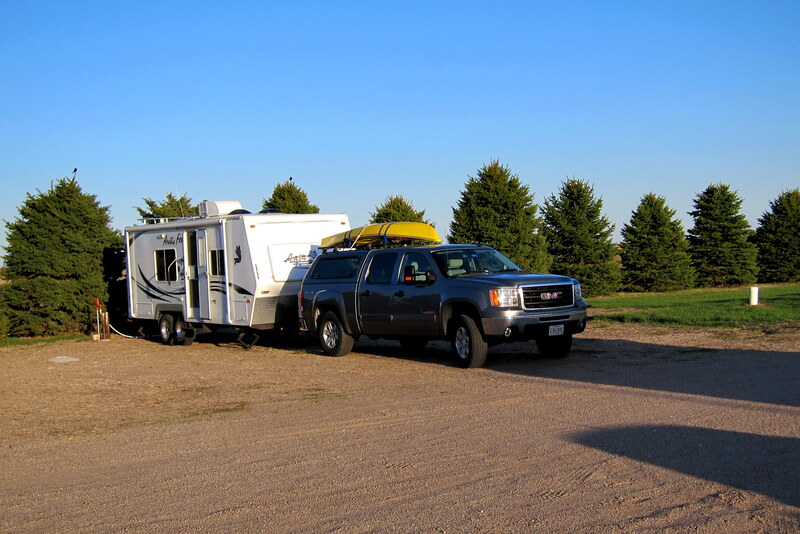 Nearing Omaha we decided to head east on NE-40 and then north on US-81 where we came to a nice, clean, inexpensive, full hook-up, roadside campground called the Highway 81 RV Park in Columbus, Nebraska…..pretty original name, huh? The owner lived in a nice home next door but there was no office or staff. Registration and payment was by the honor system. This is common for National and State Parks but very unusual for a private campground. 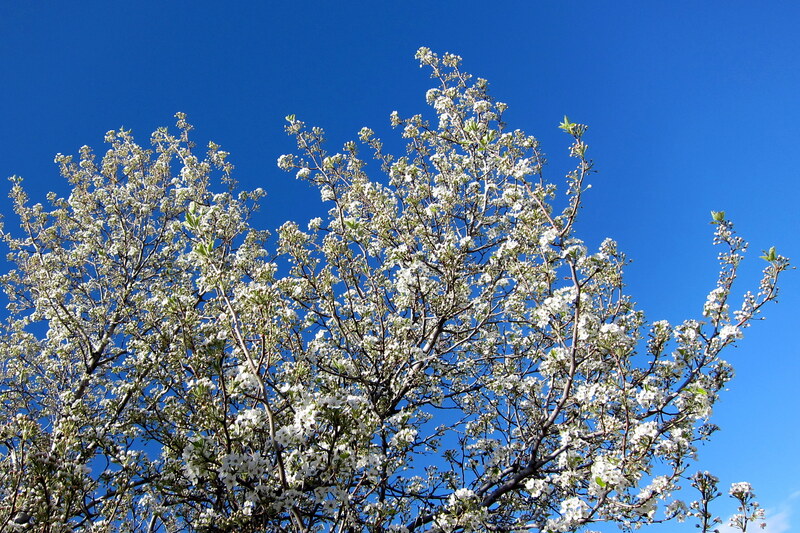 Saturday, April 23, 2011: Up at 0600 (well some of us were) and noticed that the winds had subsided overnight. Breaking camp we hit the road at 0940 under overcast skies and temperatures in the mid 40’s. You know, returning from our winter trips we try to follow spring as it slowly meanders north. I think this year we plumb outran it! It has been downright cold the past few nights. We would venture south in search of spring once again but they are dealing with horrible storms. I think we will just deal with the cold. Continuing on US-81N we soon came to this rather interesting sight. So we pulled over to take a look. 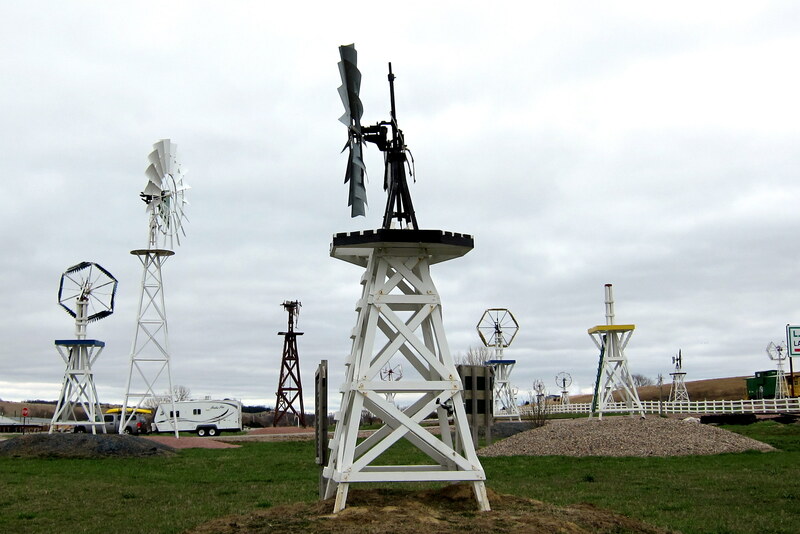 This is the second time on this trip that we just stumbled on a windmill display such as this. Earlier we were impressed by a large collection in Texas. 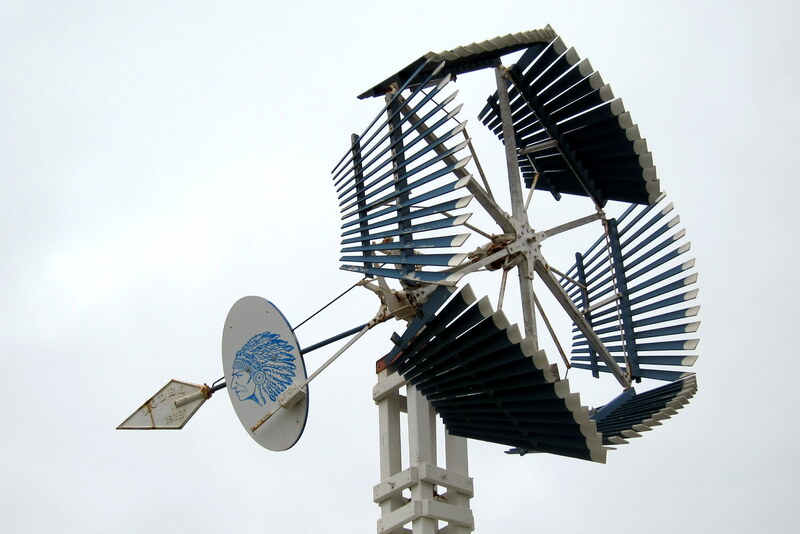 This place, however, had some very unusual windmills that were designed for the strong winds that frequent the western plains. 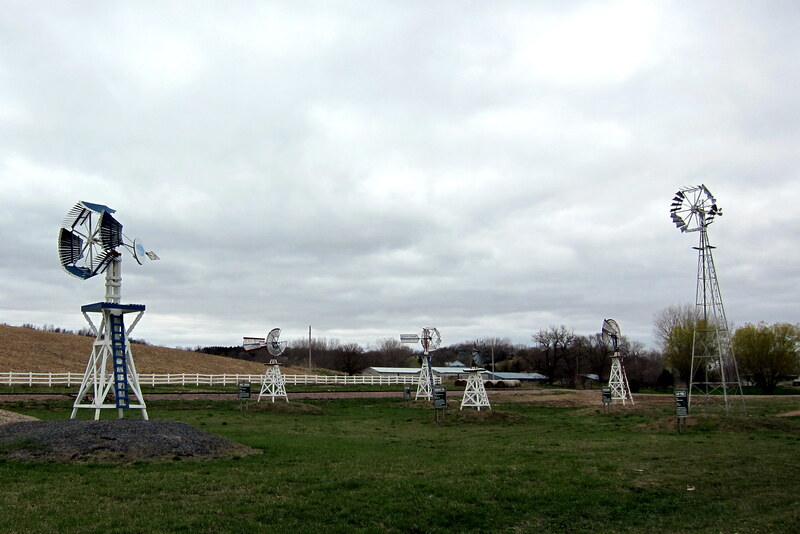 Believe it or not this incredible display of restored antique windmills is the work of the fellow that owns the local landfill. Back on US-81N we picked up US-20E toward Sioux City where we crossed into Iowa at 1305. We then moved over to IA-31 near Holstein and headed northeast. In the town of Correctionville, Iowa we pulled off on a town road and stopped at the local park for lunch. 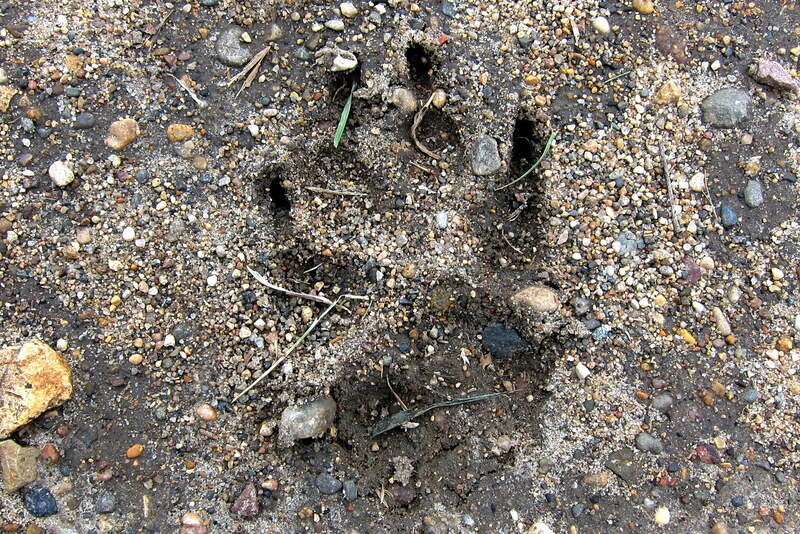 Walking around the muddy shore of the Little Sioux River I came across these tracks. Any of you hunter folk know what made this print? It was about 3 inches across and pretty deep. Not being sure where we might fit in the Food Chain, we decided to eat our baloney sandwiches in the trailer. Back on the road we soon came to US-59 and headed north into the small farming town of Cherokee, Iowa and a long anticipated reunion with an old Navy buddy. Stay tuned for Bill and Kit’s Great Farm Adventure. 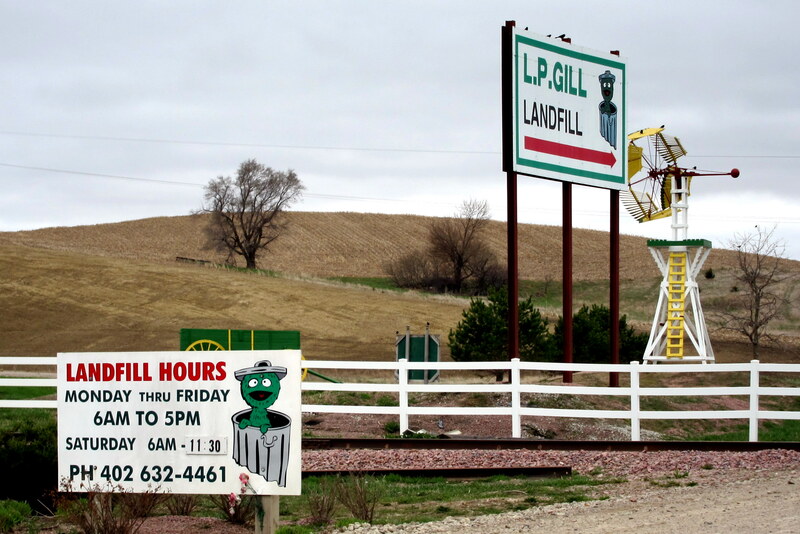 Kit’s Ten Cents Worth: A long trip through Wyoming and Nebraska. Wish we could have stopped at a few of the towns rather than zip along the highway. It’s mostly prairie land out there but the towns would have been more interesting, I think. We were very much looking forward to seeing our old friends Larry & Jan in Iowa. 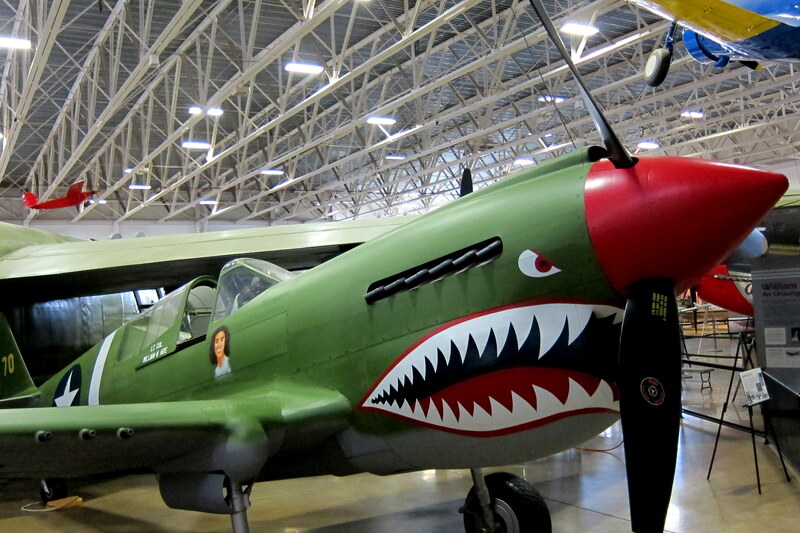 Enjoyed seeing the planes in the museum and the “fierce” paint jobs on some. An aside, it was interesting to me that Lindquist was in the name of their “final resting place” and that there is Lindquist Funeral Home in Yarmouth, ME. Those old windmills have a very different blade configuration than the old windmills I have seen. Fascinating. Enjoy the rest of your trip. Thanks for the comment. Heading home…..see you all in a few weeks. Pictures were awesome…beautiful country side!!! Thanks for the nice comment. We are heading home…..should be in Maine by Memorial Day. Looking forward to seeing you for our appointments! Looks like you folks will be home soon. It has been a lot of fun following your travels. Those windmills are fantastic. I’ve been sharing your adventures with Dad (who turns 95 this August). We are on or way, via Canada, to Maine. Likely be home by Memorial Day. Glad you are sharing the journals with you father…..tell him we said hi. Looking forward to seeing you all this fall.